I can hardly believe it is already April- and you know what that means. come summer parties and events. 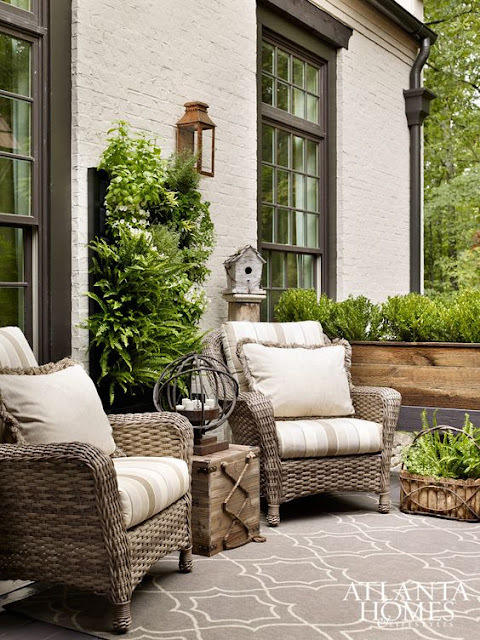 you already know I am a slightly obsessed, huge fan of all things outdoor living. You know they will be outside on the patio. abundance of refreshes going on over here. and some outdoor projects as well. This week, we got started with a little of the patio refresh prep work. and started to move some of the patio furniture. Some of it will be moving to my oldest sons house and some will be revamped and just placed in a different part of the yard. a few different pieces for back here. and a few styles that have been inspiring the new look. I am a casual seating kind of girl- but I have to be honest. I am Not a fan of oversized, deeeeep sofa sitting. When you have to pile 2 pillows behind you to be able to sit comfortably- I am out. And some of our wicker pieces are just like that. Uncomfortable unless you sit with your legs crossed in the seat- or add a plethora of pillows to prop your back. So- those are definitely changing. But maybe for something similar - because I do love the look. 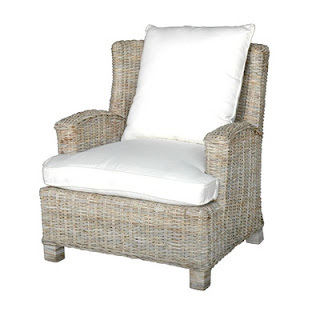 Loving simple charming wicker chairs. And I am also loving wood furniture. and started over with wicker. and with so many beautful options now- I am going back in that directon. HGTV Dream Home in Merritt Island. 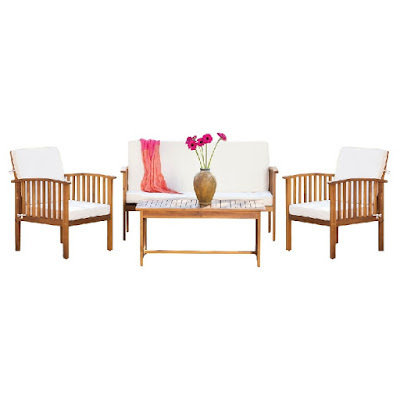 Loving this casual 4 chair set up. Maybe a fire pit in the center instead of table. 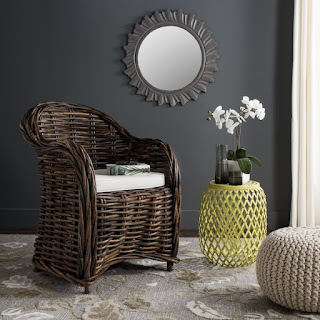 And I am also considering smaller scale rattan and wicker pieces. 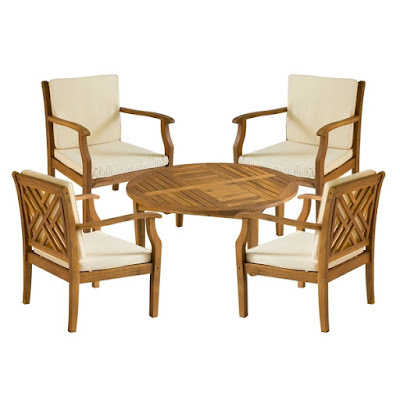 I think that rattan has such a huge amount of charm and just looks like summer. colors like yellow or turquoise or classic white or navy. But overall those are just a few ideas swirling in my head so far. I will be sharing the new look- in a few weeks- for now- just planning away. Do you have any big refresh plans for your patio this year? Would love to know what ideas you have. If I may offer some suggestions/advice: I would put higher, straighter chairs around a table and lower, deeper chairs around a fire pit. Wherever people would relax, they want to lean back and stretch their legs comfortably in front of them vs. outdoor dining, which would be downright uncomfortable in that position. We have table chairs, low chairs and chaises longues, but no sofas. I can't imagine sitting on a sofa with somebody when it's hot out. Give me my own space. With arm rests! Your home is so lovely and I am envious of the CA weather. I live in PA and it is 45 degrees here today and no sun till 6 PM. Flowers are not nearly as abundant but I am buying them from the grocery now. Better than none.Outdoor living is generally confined from late (or mid) April to Oct. And although the leaves are pretty in the fall, fowers really inspire me. Good luck with you refreshes. I'm looking forward to seeing how your patio develops. I love the charm it has now, but I'm sure you'll add your touch to whatever you choose. I'm actually a deep sofa girl - I don't just sit on a sofa... I move in... ;-) So last year we bought a big rattan framed sectional and I was trying to go for a whole blue and white (as in chinoiserie) look. Not sure I pulled it off so thinking about redoing the accent colors with something more pinky-floraly this year. Good thing the furniture pieces are neutrals! I am totally in love with wood and thick comfortable cushions, at the top of the range Restoration Hardware have some fantastic items, and if that's way over budget, they are fabulous for just looking at and getting ideas! For me one of the most important things is having different seating areas, we have a large garden with lots of different areas and one afternoon we might entertain in one area, another evening another, it all depends on the sun/shade and the time of day. Comfort and being able to relax and enjoy time with friends and family is the key thing. I am thinking that I want an outdoor sofa. Somewhere that you can actually lay down. We rarely use our back deck and I think its because there is not comfortable seating. Also, I pinned the picture of your pergola covered patio area because we got some free round columns and I love the base of yours! We need something like that and I need the photo to convince my husband that we can do it. HI Courtney, I love your inspiration pics for a refresh outdoors. 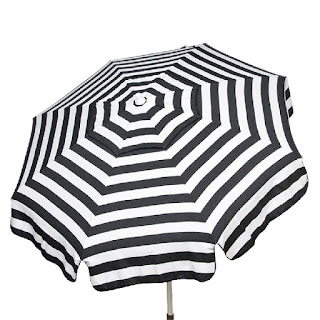 I will say that I made an umbrella cover using Sunbrella black and white cabana stripe and there has been no fading whatsoever. 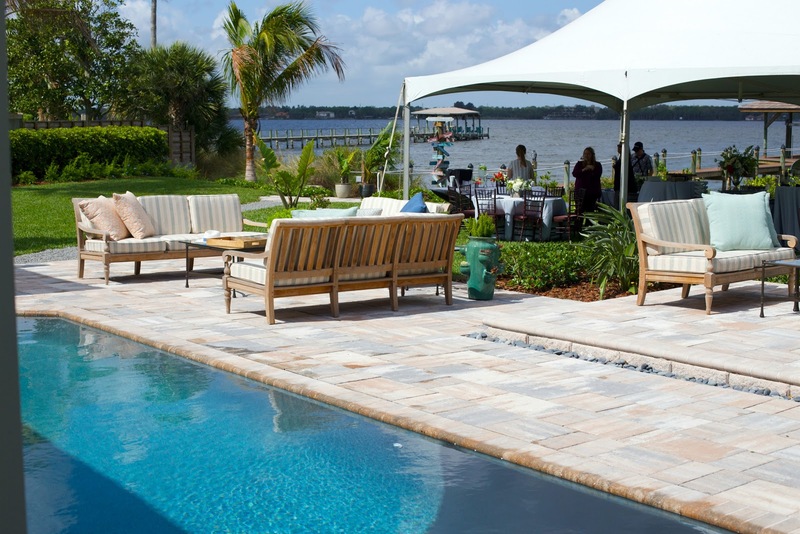 The polyester outdoor fabrics will not stand up, but the Sunbrella brand is amazing. 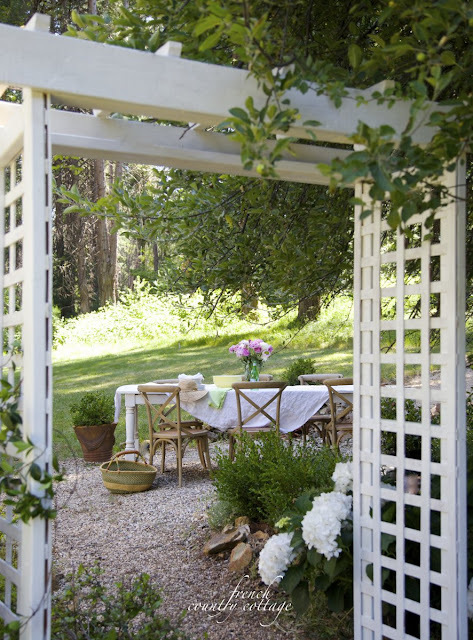 Loving these ideas for your outdoor spaces. I know that whatever you end up going with - it's gonna be amazing and I'm going to want to copy it all! I have a large area just outside my patio doors that I have been wanting to tackle for the past couple years now. At present it's just patchy grass and mud which the dogs happily carry in with them each time they come inside! I'm thinking of putting down small gravel and see you have that in one space as well. I'm liking the look.